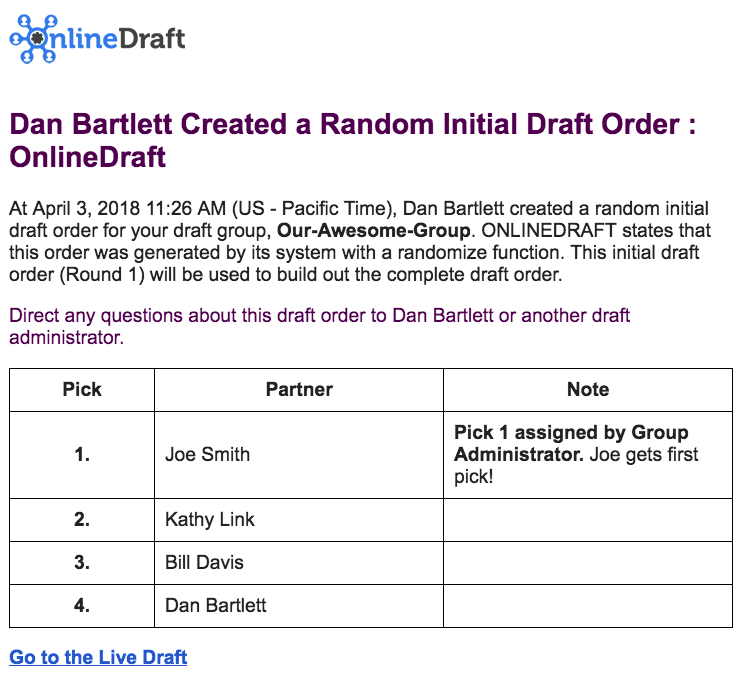 Create a random initial draft order. Who picks first? In most drafts the initial pick order makes a big difference. 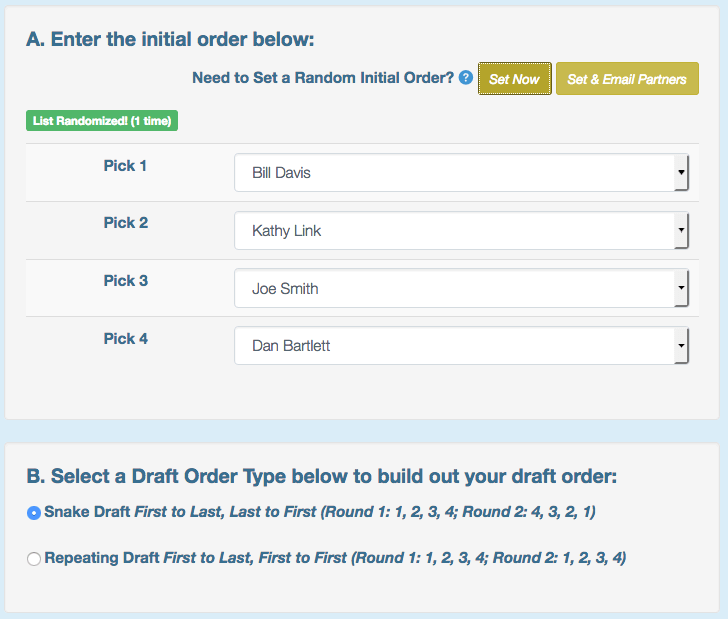 OnlineDraft has two built-in ways to help your group create a random initial draft order. 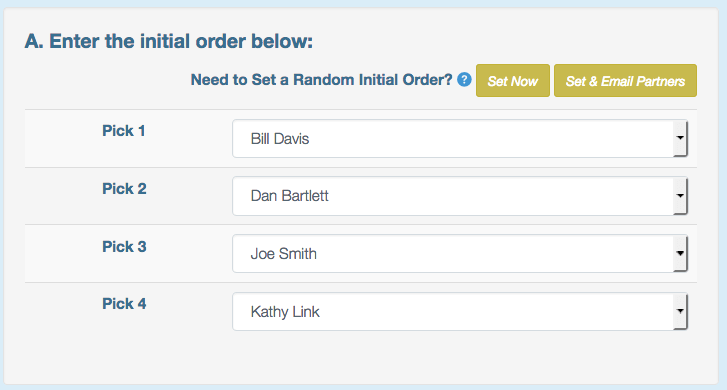 In the draft order setup, you can choose to randomize your list instantly. This is fast and easy but it is a "closed" process to just the administrator. With this option, the administrator confirms the details and the order is randomized and immediately emailed to ALL partners. This method also gives the administrator the option of setting certain picks. For example, one person gets the first pick and all other picks are random. 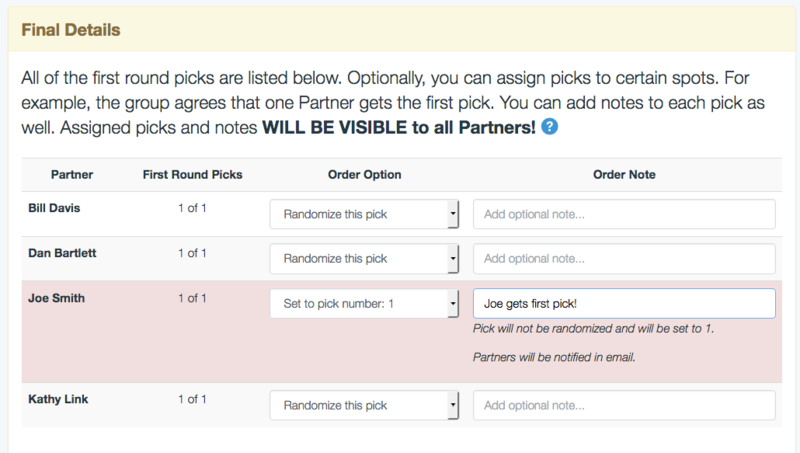 On the DRAFT ORDER page, first confirm how many total picks and how many total picks each partner gets. Next, set the number of picks per round. 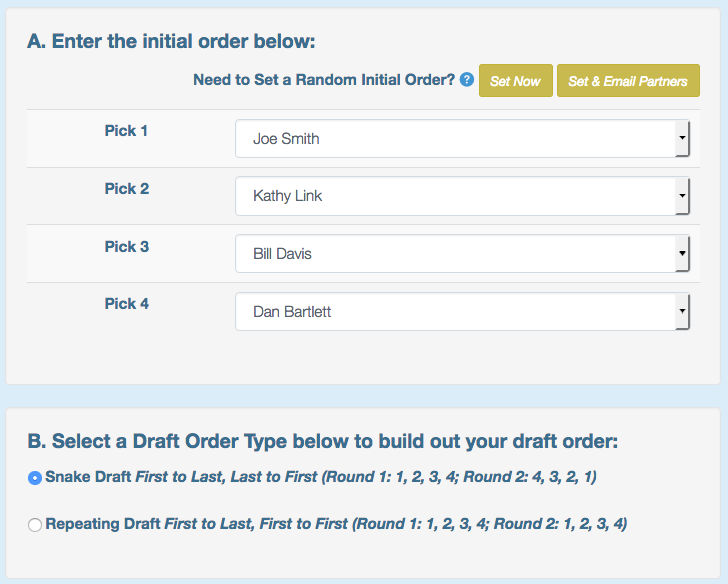 In the third and final step, configure the actual draft order. 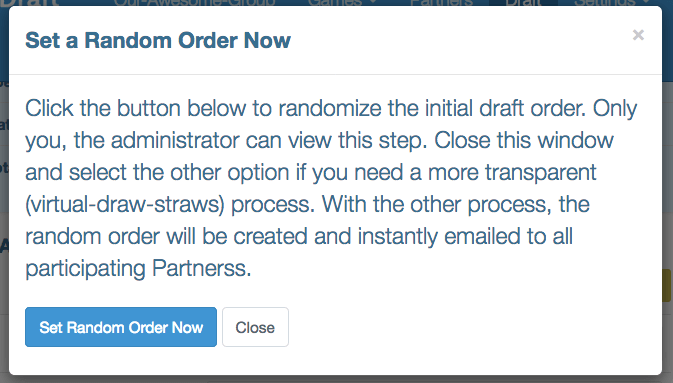 The Draft Order Wizard automates this step for you. 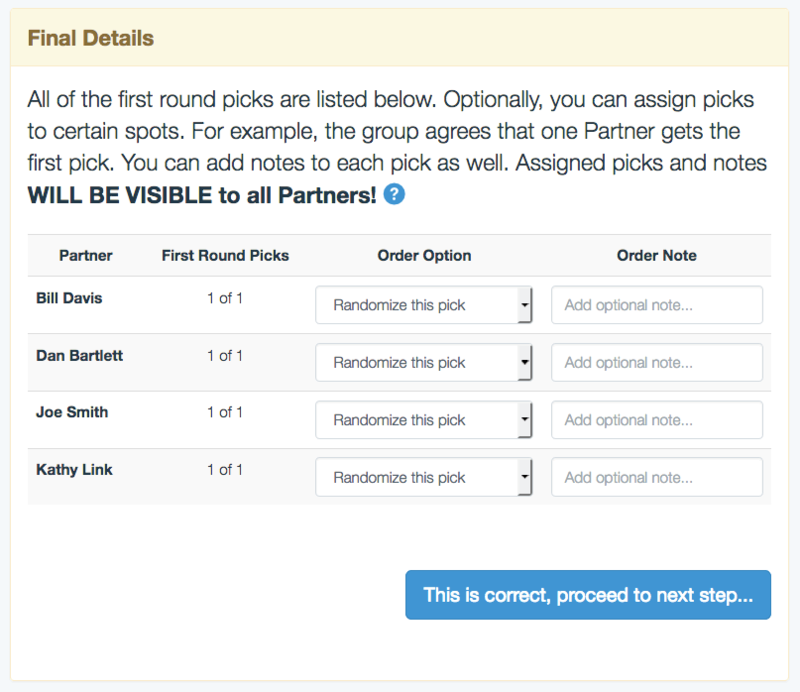 The screenshot below shows a simple group of 4 partners with each getting 1 pick per round. With your list randomized, you can continue onto the next step (snake or repeating type), and quickly build out your entire draft order. 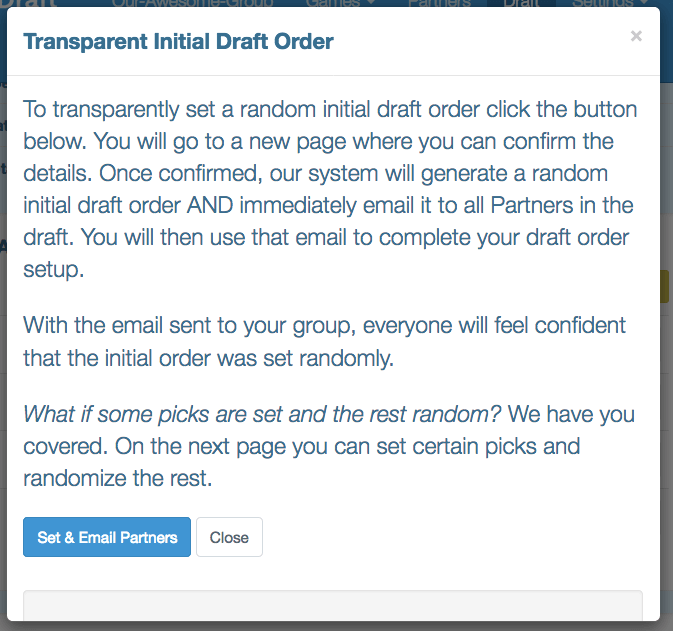 Return to the DRAFT ORDER page and set the random order from the group email. Continue the process by selecting snake or repeating and quickly build out your draft order. Have a complicated Draft Order? If you have a complex Draft Order with varying ownership percentages - where some partners get more picks than others - then checkout our Draft Order Algorithm!